TSUNEISHI SHIPBUILDING Co., Ltd. (HQ: 1083 Tsuneishi, Numakuma-cho, Fukuyama, Hiroshima, Japan; President: Kenji Kawano) launched the first TESS999 (tess-triple-nine) 99,990 MT bulk carrier, “AGTR AMBITION,” built for Agritrans Shipping Co., Ltd. at its Group company, TSUNEISHI GROUP (ZHOUSHAN) SHIPBUILDING, Inc. (Location: Xiushan Island, Daishan County, Zhoushan City, Zhejiang Province, China; President: Jiro Sato; hereinafter: TZS) on October 31, 2018. The TESS999, the successor to the post-Panamax bulker TESS98 developed in 2008, and now the largest ship of the TESS series (*1), is a highly versatile ship with low fuel consumption. When the TESS98 was developed, post-Panamax bulkers were generally 230 to 235 meters long with deadweight capacity of about 90,000 tons. The TESS98 was top in its class with a length of 240 meters and deadweight capacity of 98,000 tons, and owners valued it highly as a very versatile ship. In developing its successor, the TESS999, we incorporated the actual route and operation data analyses of the TESS98 and reflected current market needs by implementing the latest energy-saving technologies and addressing environmental regulations. The TESS999 has retained the length and air draft of the TESS98 to preserve its versatility, while extending the breadth by one meter (to 39 meters) to better accommodate shallow drafts. Compared to the prior model, deadweight capacity is increased by about 4,000 tons with the same draft. The actual operation speed of the TESS98 was also referenced in optimizing the ship model to achieve excellent operational efficiency, especially the strong fuel efficiency in low-speed regions. Combining this with our proprietary energy-saving technology MT-FAST（※2）, optimally-designed propeller TOP-GR（※3）, and G-type Electronically Controlled Engine (*4), we improved fuel efficiency by about 6%. 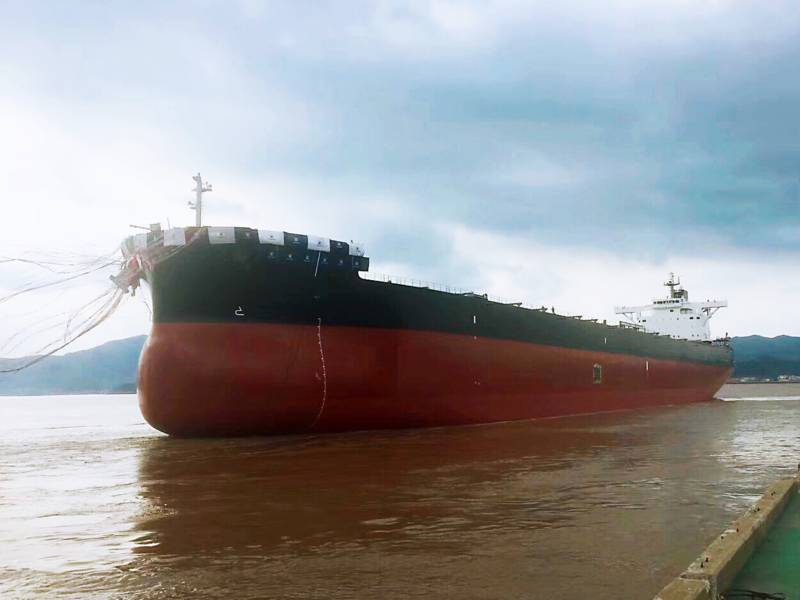 TSUNEISHI SHIPBUILDING boasts the largest international share（※5） in the category of 65,000–99,999-ton Panamax bulk carriers constructed worldwide from 2008 onward. With a focus on our bulk carriers, which have a durable presence in the market, we respond to diverse needs with a multifaceted lineup, including tankers and container carriers, and build ships that are beneficial to the businesses of our customers. *1. The TESS (Tsuneishi Economical Standard Ship) series: Aiming to develop a highly versatile ship that combines operational performance and economy, we completed the first model of this series, the TESS40 (a 40,000-ton bulk carrier) in 1984. In response to changing times and the needs of owners, we have since expanded the series with variations including the TESS45, TESS52, TESS58, TESS64, and TESS98. 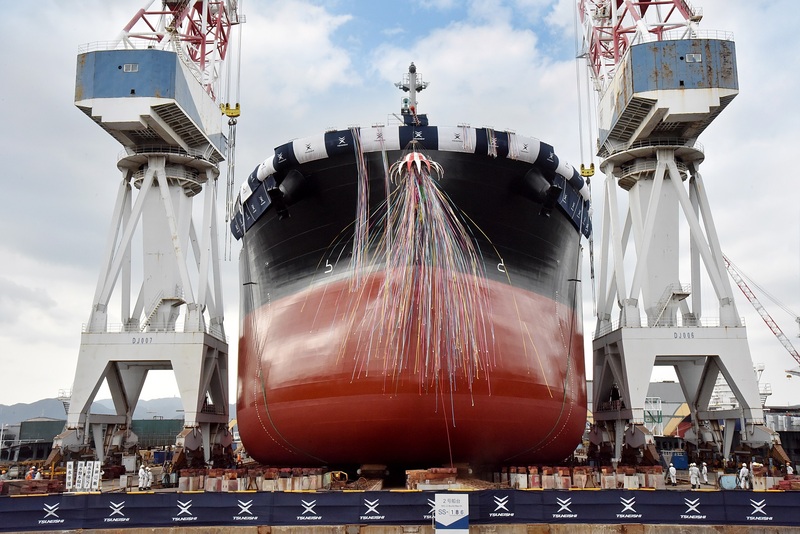 With over 400 ships constructed, this is TSUNEISHI SHIPBUILDING’s most popular series, favored by owners both in Japan and abroad for over 30 years. *4. G-type Electronically Controlled Engine: Compared to the conventional S-type, this engine has a longer stroke and lower revolution. This improves propeller efficiency, thus boosting fuel efficiency and reducing CO2 emissions.